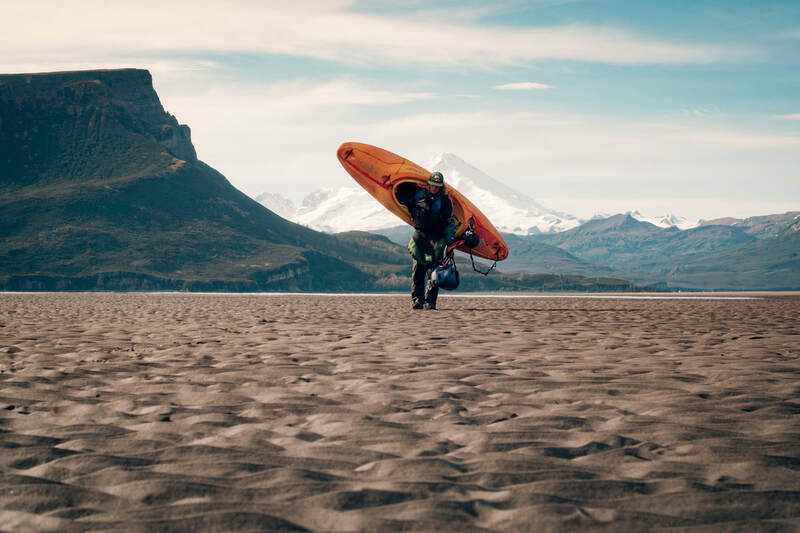 On February 5, 2019, live at Toronto’s historic Royal Cinema, the Paddling Film Festival revealed its 2019 World Tour lineup and category winners. Rapid Media and the Paddling Film Festival founder and producer, Scott MacGregor, was the emcee and announce the 2019 film selection. The 10 award-winning and 16 short-listed films will be in contention for the Aqua-Bound People’s Choice Award and will go on to screen in over 120 cities and towns across the United States, Canada and around the world. "Fifteen years ago I’d completed a readership survey and realized 98 percent of the readers of our magazines were already paddlers. That is why we are here tonight. Our goal is to feed the dreams of enthusiasts and spark the desire of your friends and family, who you’ve dragged here tonight. In the next two hours or so, I’m going to take you climbing and sea kayaking in Greenland, paddleboarding in Nepal, and canoeing up the Inside Passage. And we’ll go fishing and searching for new rivers in Alaska before we close our eyes and paddle in real darkness." In the next two hours or so, I’m going to take you climbing and sea kayaking in Greenland, paddleboarding in Nepal, and canoeing up the Inside Passage. We’ll visit Hap and Andrea Wilson in Temagami a few hours north in our beautiful province of Ontario and we’ll go fishing and searching for new rivers in Alaska before we close our eyes and paddle in real darkness." "It should come as no surprise the Paddling Film Festival was inspired by the Banff Festival of Mountain Films. Many of us grew up on it. It also should come as no surprise as the easy adventures like 100-foot waterfalls get knocked off the list, the next adventurers are forced to get more creative. Like for example this team of Swiss/French mountaineers who set off on a 170-kilometer sea kayak journey only to arrive at one of the largest big walls in Greenland. Metrophobiais both the name of their new climbing route and the name of the Winner of the Best Sea Kayaking Film for 2019." "Beau Miles is no stranger to the Paddling Film Festival. He won the Best Sea Kayaking Film in last year’s World Tour with Bass by Kayak, Bass Strait being the scary puddle of water between the Australian mainland and Tasmania. This year his journey is a little closer to home for all of us. Miles collects rubbish between the commuter train station and his office and makes himself a canoe paddle and the film Junk Paddle. Junk Paddle is the winner of this year’s Best Instructional Film." "On the back cover of your program you’ll find three things: Free digital subscriptions forms; sweepstakes entry form to win paddles from Aqua-Bound; and a place to vote for the Aqua-Bound People’s Choice Award. If you forget the name of a film, all films on the World Tour are listed in the Program. We play shortened festival version of many of the films. I encourage you to reach out to the filmmakers to find the full films." "Ten year’s ago the film Dougie Down the Pet by Justine Curgenven won the Best Paddling Documentary Film. It was a story about a father and his four-year-old son canoeing the whitewater of Algonquin’s Petawawa River. I was the father and Dougie is my son. This past summer, ten years later, we paddled the Broken Skull in the Northwest Territories with his grandfather because Dougie watched Return to Noatakanother World Tour film and asked me when we could do a trip in the north. Big World, this year’s Best SUP Film winner is another father-son adventure. The father David Morton says, “We have to keep our kids safe, but we have to teach them to take risks and follow curiosity.” And so the two of them head down Nepal’s Karnali and Bheri rivers."" Big World Is the 2019 Best SUP Film winner. "The Passage is another family film; this time the children are all grown up and the brainwashing we do as parents has proven successful. Two brothers restore the original canoes and complete a voyage their father and uncle had started, but not finished, more than 40 years ago. Together they paddle the Inside Passage from Washington to Alaska. The Passage is the winner of this year’s Best Canoeing Film." The Passage is the winner of this year’s Best Canoeing Film. "100 Miles is the winner of this year’s Best Kayak Fishing Film, but it could also have been entered into the Best Adventure Travel category. This is not the typical grip and grin fishing movie and it’s not exactly a first descent on an unnamed river. The goal of this Alaskan expedition was to use packrafts to explore and fish a remote braided river system not really accessible any other way." "For our Best Adventure Travel film of the year, we’re back in Alaska as Frontier of Firsts follows the experiences of a whitewater kayaker and a bush pilot during a kayaking expedition. They have wildly different skills but we find their passions are very similar as they work together to explore three previously unrun wilderness rivers." "Over the last 14 years we’ve made a few changes moving from VHS to DVD, and last year to digital download and high definition. One of the things we’ve considered but have not changed is touring a 25-film shortlist. Doing so allows hosts to cater their playlists to their audiences and allows me to play something close to home. The environmental documentary Wild Temagami highlights Hap and Andrea Wilson’s relationship with the Temagami Wilderness and the threats the land faces."